Exeter: Mondays 7.30pm – 9.00pm, Exeter Pheonix, Gandy Street. Totnes: Wednesdays 7.30pm-9.00pm, Mansion Hall by Totnes library, Fore St. 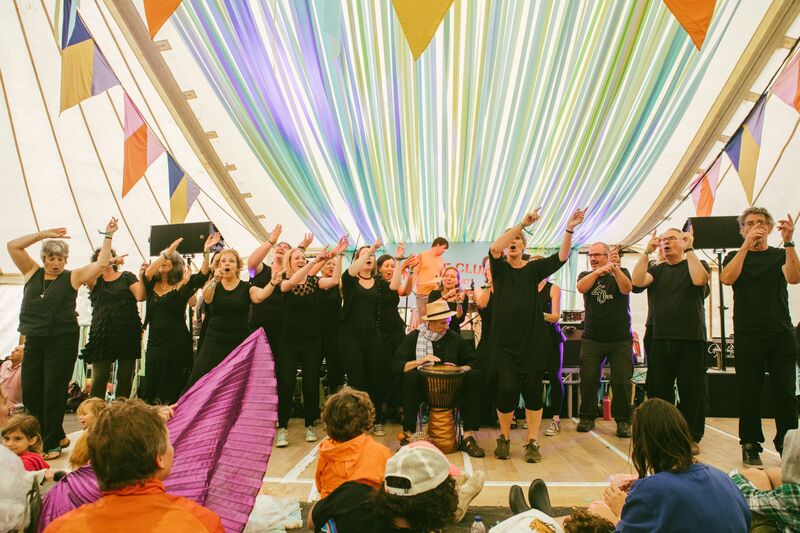 Global Harmony was formed in 1991 – the first Community Choir of its kind (unaccompanied and with mixed voices) in Totnes; a second group was started in Exeter a few years later. We sing for the joy of singing beautiful music, for a weekly boost of uplifting energy and fun. We sing a variety of music from African and Gospel, to English and Eastern European folk, classic pop songs, and contemporary pieces. Harmony parts are taught by ear and sheet music is sometimes available. There is a range of ability in GH, you do not need to be able to sight read music, and members progress through voice work exercises at the start of each session and by exploring different musical genres. Commitment is needed when concerts are imminent if you want to sing at that performance. Being a member of a community choir is a wonderful social experience, combining friendship and musical development- in other words great fun! Please contact me if you want to join the Totnes choir, as there is a waiting list, I cap it at 50 singers across the voice parts. Half termly fees are payable at the start of term at £6 per week. Summer term starts on Wednesday April 24th. 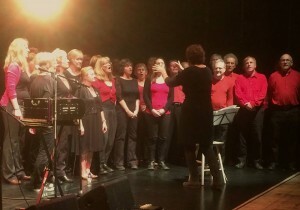 The Exeter choir currently has spaces for a few new singers and has a drop in price of £7, or £6 when paying for at least 4 weeks, not available in Totnes. Summer term starts on Monday April 29th. Have a listen to our tribute to the people in Mozambique affected by the recent disaster, please donate at your local Oxfam shop, thankyou.